On Elizabeth Bishop by Colm Toibin, reviewed. Colm Tóibín’s glorious, maddening, uneven book about Elizabeth Bishop. Tóibín pulls with ease and aptness from the separate but similar landscapes he (a native of Ireland) and Bishop (whose first and last true home was in Nova Scotia) share. 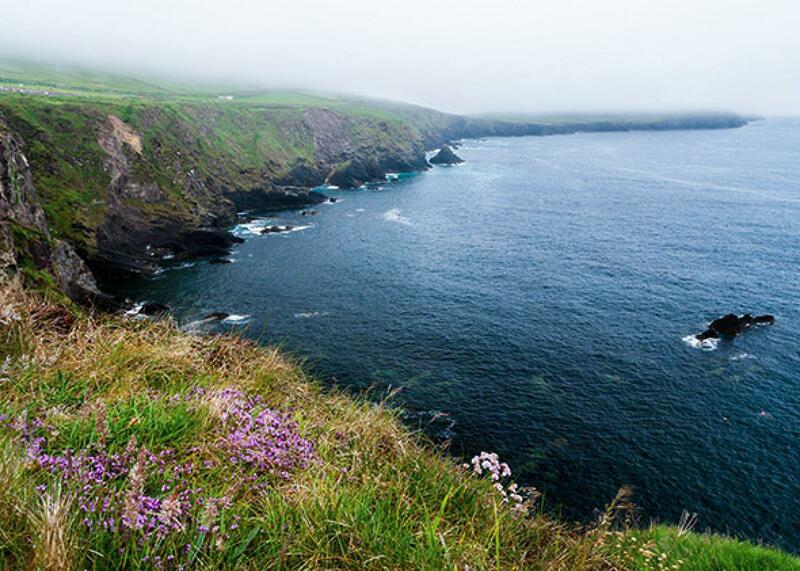 Above, Slea Head in the Dingle Peninsula in southern Ireland. Invitingly small, little more than pocket-size—the pocket in some cargo pants, perhaps—Colm Tóibín’s On Elizabeth Bishop is, at different moments and to varying degrees, a primer and a personal reflection; an introduction to Bishop and a consideration of a poet, Thom Gunn, who neither influenced nor was influenced by her; thoroughly beautiful and slightly pedantic; careful to see the poems in all their complexity and too willing to boil their virtues down to a single effect; an easy read informed by voluminous reading; too little and too much. I enjoyed most of its 199 narrow pages and was awed by many, yet I would be wary of recommending it to someone because I can’t say with any consistency whom (or what) it’s for. Amazingly, Tóibín persists in that mode for an entire chapter. It’s prose as a model of the particular way in which poems can matter—personal even in abstraction, lived-in, enlarged through a lifetime of intermittent attention and honed by the persistent challenge to say what this thing is and why it feels so important. The insights and observations are so thoroughly distilled, so precisely named, that they should feel viscous and thick, yet the prose has an unhurried grace in which the feeling of discovery persists. (In this, it sounds a lot like Bishop.) It’s an image of the way that certain poems seem to live with us—expanding and altering somewhere in the imperfect, recursive maps of memory. The child, as she reads the National Geographic magazine, is horrified by the photographs of naked black women until she is distracted by the sound of her aunt in the dentist’s chair crying out. For a second she begins to believe that the cry is coming not from the aunt but actually from her (“Without thinking at all / I was my foolish aunt”). Then slowly it occurs to her that she is not her aunt, but herself. I don’t mean to suggest that Tóibín needed to say these things or share these lines. He had other points to make, and he makes most of them beautifully. I just wish he’d skipped the thousands of lines those pedestrian summaries skim across. In his recaps, Tóibín can make poems into strangely impersonal objects, a series of paraphrasable events and meanings to be understood and carried off, rather than a complex of physical, intellectual, and even interpersonal experiences one might have and re-have in ways that shift as richly as memory. The poem seems so determined to be jolly and inconsequential, almost jokey, that it is hard to find the undertow in it, which arises oddly from the sheer amount of time and energy spent observing this scene in such great and good-humored detail to the exclusion of all else. Somehow, I felt a sense that, in concentrating on this and this only for a long time, the poem hinted that the rest of the world could be kept away and made to seem not to matter. That explanation, with its welcome, implicit admission that poems, like people, can be useful, and that using a poem can be both awkward and profound, comes in the midst of a brief autobiography of Tóibín’s early years with Bishop’s poems. Tóibín overlaps his life with Bishop’s—both of them gay, both from places where “language was also a way to restrain experience,” both having lost parents at a young age and in the midst of heavy and enduring silence. It’s a risky move, but it works out beautifully, presenting a rare image of the similarities between reading and writing, how both happen not just in the midst of a given life but as a part of it. Ireland and Nova Scotia have their inhospitable seasons and their barren hinterlands; they are places where the light is often scarce and the memory of poverty is close; they are places in which the spirit and the past comes haunting and much is unresolved. At a few points, wandering down one of those paths, Tóibín lets idiosyncrasy carry him too far, and he loses track of Bishop. He devotes at least 10 percent of On Elizabeth Bishop to Thom Gunn. Gunn was an extraordinary poet in his own right, and he occasionally proves useful in highlighting some aspect of Bishop’s poetry, but the two had neither a personal nor a literary connection of any note, and the overlaps in their poems seem largely incidental. This enacting of a search for further precision and further care with terms was, in one way, a trick, a way of making the reader believe and trust a voice, or a way of quietly asking the reader to follow the poem’s casual and then deliberate efforts to be faithful to what it saw, or what it knew. The trick established limits, exalted precision, made the bringing of things down to themselves into a sort of conspiracy with the reader. But somewhere in there, too, is the seed of my one real disagreement with On Elizabeth Bishop. The clumsy summaries and the strange digressions are easily outweighed by the pleasures of so much writing on Bishop that reads so well and runs so deep. 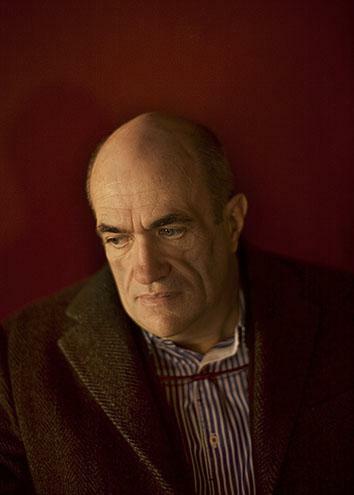 But as the book goes on, Tóibín begins pointing all his varied insights into the poems toward a single virtue. “Not having that confidence gave Bishop her power.” “The scream was all the more powerful because it was almost, not quite, shrugged off as nothing.” “The music or the power was in what was often left out. The smallest word, or holding of breath, could have a fierce, stony power.” “[T]he language of transcendence can have a special power.” “[T]he devious power of these late poems.” “[T]ake some of their power.” And so it goes. Tóibín’s not wrong. Bishop’s poems are powerful. It’s just that power, as a catchall term for poetic success, tends to focus our attention in the wrong places. In the case of Bishop, this focus risks trivializing (“a trick”) her willingness to abdicate some kinds of literary power—power she held in abundance—in service of honesty. How many other poets of real and lasting merit could have written that? Many of Bishop’s best poems are self-portraits of the artist trying to see beyond herself. They seem driven by a need to take an object or event of intense and sometimes baffling personal significance to the speaker (“as when emotion too far exceeds its cause”) and justify its importance. They are full of repetitions and subtle corrections, the speaker resisting the temptation to reach for universal terms. (“Our visions coincided—‘visions’ is/ too serious a word—our looks, two looks.”) The entire drama of “The Fish” involves Bishop pulling “a tremendous fish” close enough, metaphorically, to see it clearly, then once again pushing it away to avoid turning it into a metaphor. Art mattered immensely to Bishop, but only because it was beholden to something else. “That peculiar/ affirmative.” For all of Bishop’s reluctance to generalize, she is often, within her poems, an acute interpreter of her own work. (She is also, like most of us, frequently paradoxical, which is part of what makes her portrait of modesty so accurate: It knows the appeal of grandeur, too. When, after circling, then speeding up, then refusing to lift off multiple times in “At the Fishhouses,” she finally unleashes the impulse, the result is some of the most rapturous writing imaginable—though it would be unimaginable if she hadn’t written it.) So often, for me, “that peculiar affirmative” is what Bishop presents more richly and consolingly than anyone else. The long, careful work of these words, the carefully rendered hesitations, the statements written in order to be written out, the amount of time it took for Bishop to craft the impression of producing a single, continuous strand of consciousness: These poems are the result of exactly what they enact—an attempt to get it right. They are, that is to say, Bishop herself. And they are, peculiarly, affirmative—the self-present, the self-absolved, the disappointments of life scaled down into something that feels vast, but also manageable. The world is often too large, too lonely, too often “only connected by ‘and’ and ‘and,’ ” but also, up to a point, comprehensible, observable, something that, if we are careful enough, we can share. “Why,” asks Bishop near the end of “The Moose,” “why do we feel/ (we all feel) this sweet/ sensation of joy?” And then, “ ‘Curious creatures,’/ says our quiet driver,/ rolling his r’s.” His response is deliciously insufficient—and therefore exactly right, as is the way the word curious expands in the mind. It means us, too, equally foreign and strange, and the way the “we” that “all feel” also want to feel, to see those other floating things. On Elizabeth Bishop is a curious book. And if I’m not sure what to make of it at times, I’m grateful to have met Tóibín over these poems, to have felt, in the presence of such beauty—both Bishop’s and his—some of what he has felt. On Elizabeth Bishop by Colm Tóibín. Princeton.